American poker pro Katie Dozier has called out PokerStars and its apparent anti-female culture in an open letter over the issue. After learning about PokerStars' decision to move its $9 million Sunday Million event from March 8 to March 15 because of International Women's Day, Dozier decided to examine the move in light of her experiences as a female on the site. Apart from noting that the change of date actually moves it Mother's Day in the UK, Dozier feels that the move may be a marketing effort to highlight that PokerStars is taking women in poker seriously. While she applauds this effort and is a fan of the site, she goes on to note a list of reasons why PokerStars may not be as accommodating to females as many would like. 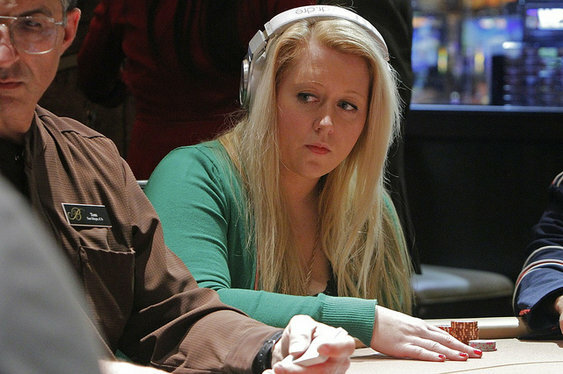 "There are fewer women's tournaments and satellites on PokerStars than there used to be. There is very limited participation by PokerStars Pros in the $55 Women's Sunday, including many weeks with one or zero Red Spades playing, and the bounty on these players was removed. Perhaps consequently, the field size in the Women's Sunday tournament has shrunk substantially. The PokerStars Women section of your site seems to be mostly defunct, and this is how it has appeared to me for months. The Women's Sunday final table write-up no longer exists. The freelance articles for PokerStars Women, which offered up unique perspectives from many different angles, have been cut." Dozier's main concern seems to be that provisions and coverage of women only events on PokerStars has steadily declined and that she'd like to see this trend reversed. In fact, she ends her rallying letter by calling on PokerStars to inspire "50% of the population" to take up poker and create another boom for the industry.